During Global Pet Expo, we were thrilled to run across a fairly new test that is available to the public which allows you to test your dog for allergies (aka intolerance). Affordable Pet Testing offers affordable allergy testing for pets. The process is simple. 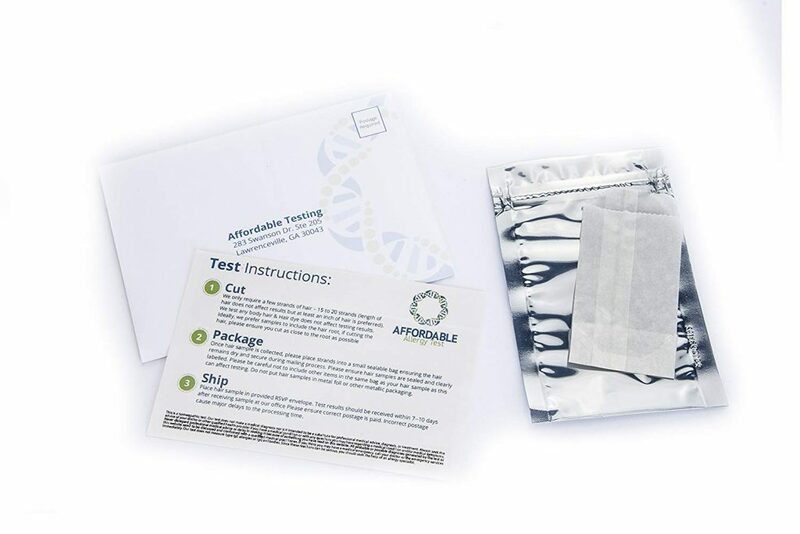 Order the test online at Amazon, they will then send you the kit you’ll need to do the test at home. The kit consists of a plastic bag in a static-resistant envelope. Enclose a few (around 15) strands of fur (it’s helpful if you can include the base of the fur, which you can get just by brushing your pets). It’s perfectly fine to send shed fur – just make sure it’s all from the same animal. Affordable Allergy Testing tests up to 300 of the world’s most common food items, including, fruit, vegetables, grains, legumes and dairy products. 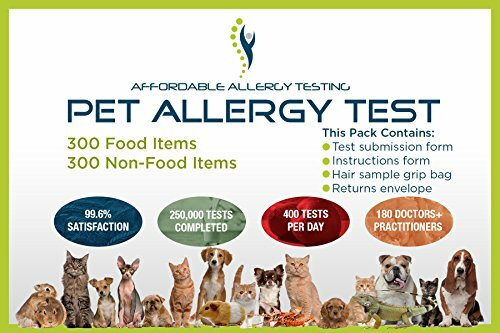 Their test is the most comprehensive available testing your pets against over 600 items including food items such as Wheat, Gluten, Dairy, Lactose and Nuts and non-food items such as pollen and dust mites. When you send off for your kit, you’ll receive back a small kit. In that kit is a small static-resistant plastic bag in which you place a few pieces of hair. When you obtain your sample, be sure to include the root of the hair as this will help improve the results. Enclose the plastic bag in the envelope and attach postage (be sure to use enough!). Then send it off. 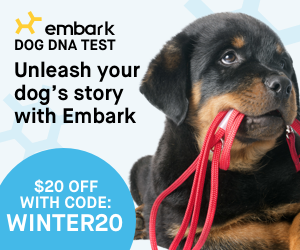 In about a week, you’ll receive an email with a .pdf attachment that shows your dog’s sensitivities. All results include items identified as showing an intolerance of 85% and over. An IgE-mediated allergy is normally initially identified by the speed of the reaction – anything from immediate to up to 2 hours reaction. These kinds of symptoms require medical attention. The normal test is a skin prick test (or RAST Test) but also IgE blood tests are often commonly used. It is important to note that an IgE blood test will only identify IgE-mediated allergies – accounting for only 2% of all allergies. This is the most well known but is estimated to only equate to 2% of all allergies. It is believed that Non IgE-mediated allergies are a reaction at a cellular level, in particular the T cells. But research continues into these kinds of reactions. A non IgE-mediated allergy (also known as an intolerance): these equate for the other 43% of estimated allergies. The symptoms can be identical to those of IgE mediated allergies, but the reaction time after exposure is usually slower (from an hour up to in some cases, 48 hours). There is currently no agreement within experts of the best method on testing for these types of allergies, although it is agreed that an IgE blood test will not identify non-IgE reacting allergies. We were very grateful to have Brock tested this year. Both he and his litter-mate Bree, are “sensitive” to a host of things – many of which we didn’t know about. About the results: There are several levels of “triggers”. The level 3 triggers become even more important when you also see them in Level 2 and Level 1. Take a look at veal, which appears on a level 3 and level 1 reading. We know that he has a severe change in behavior when he’s given any beef products. Now, clearly we would avoid veal for ethical reasons, but this gives us one more reason to avoid it for our pets. Also, if he is sensitive to veal, he’s likely sensitive to beef as well (which is why we see physical and behavioral changes when we feed beef). We also had a look at the environmental things that he was allergic too. Now, other than dust, we don’t have to worry about many environmental allergens in the desert, but the things I did find he was sensitive to that we had around the house was a wool rug (which we have since replaced), pigeons (which we can’t do a lot about), horses (which we also can’t do much about). Things we can fix include jasmine (which I’ve since avoided when formulating soap products). House dust, however, is something that we have a lot of here in the desert. While we make a conscious effort to keep it at a minimum, it is an ongoing problem. So we have started using air filter systems, which seems to help all of us. 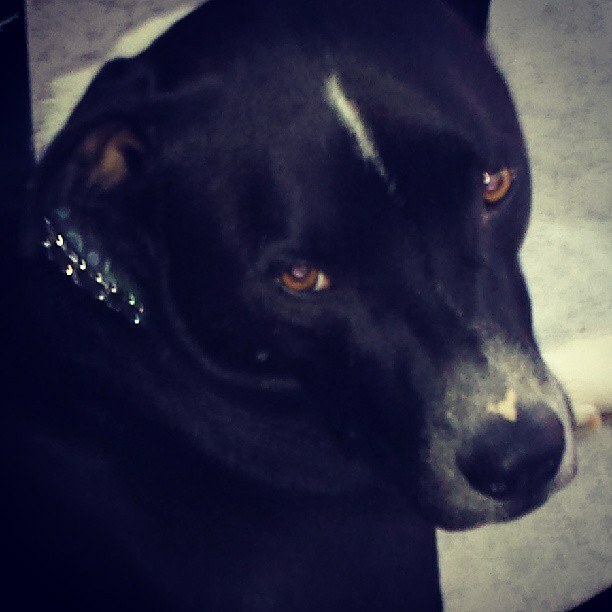 We learned he is also highly sensitive to mice and mice droppings. Fortunately, we have enough cats that we’ve never had a problem with mice! Brock’s sensitivity to mosquitoes is well-known, so we make sure he is treated quickly if we notice any around. But the bottom line is that it help us understand his reactions to certain things. While Affordable Allergy Testing tests for hundreds of items, it is possible they aren’t testing for something you suspect. If you think something else causing sensitivities in your pet, send in up to 5 products with your sample and they will test them for free! In all, this is one of the best products we’ve seen for pets (and people). Not only can it help you fix potential problems, it can help you and your pet live a healthier life!